I’ve been working with Tom at Rosie’s Kitchen/Starboard in Bude for quite some time now, with their menu designs, website, posters and leaflets – pretty much anything graphical. Because Tom has been pleased with my work and having just taken over the Revolution restaurant, he approached me to produce some new menu designs as well as revamping the website with a new temporary page, until a new complete site is ready. Tom decided that he would like the menu to be a DIY list whereby you tick against the ingredients you would like in the burger or hot dog. This process ultimately speeds up the waiting time between customers and the staff when ordering, which is great news for everyone. 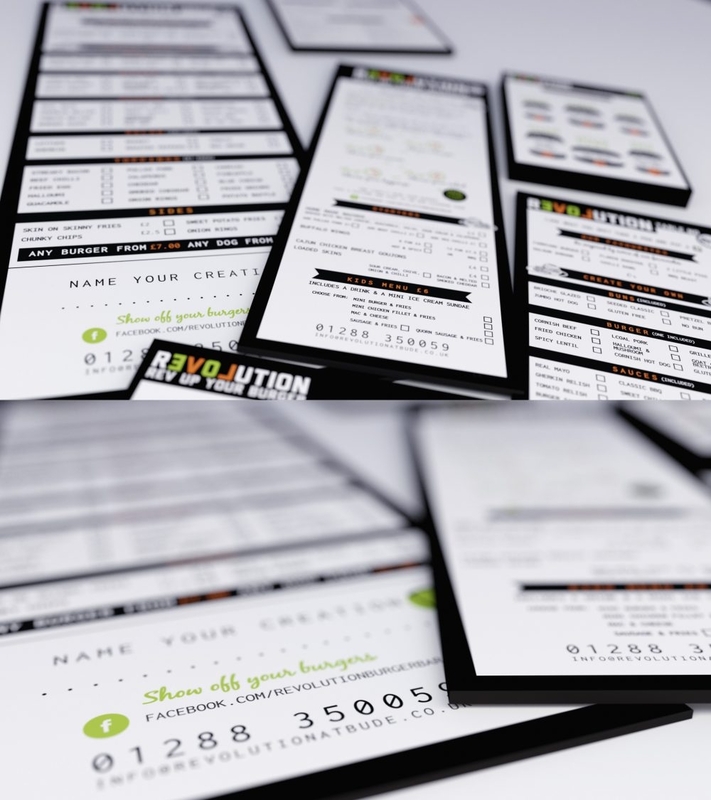 Visit the temporary Revolution website to see the new menus.